The board of the Indianapolis-based USA Gymnastics organization announced on Wednesday via Twitter that each of its members have officially tendered their resignations in the midst of an ongoing and still expanding sexual abuse scandal involving the former Michigan State University and USA Gymnastics physician Larry Nassar. 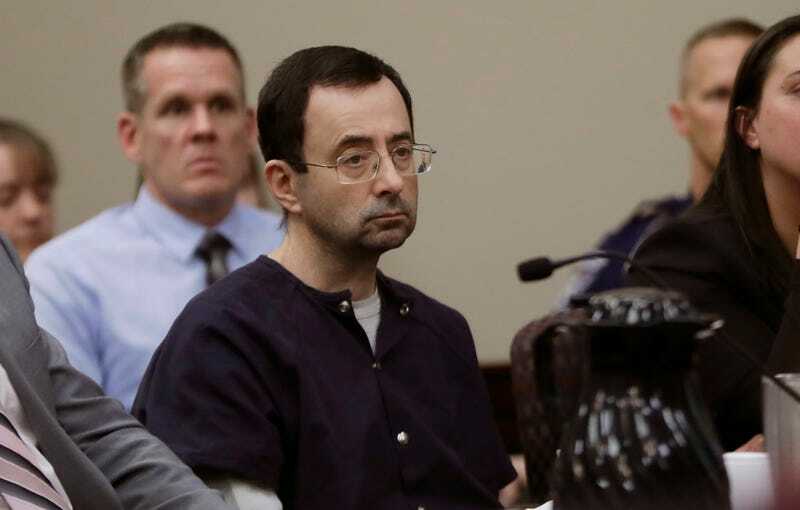 Last week, Nassar was sentenced to 45 to 175 years in prison after more than 150 women accused him in court of sexual abuse. Nasser pleaded guilty to seven counts of criminal sexual misconduct. As that phase of Nassar’s extensive legal troubles came to a conclusion, the US Olympic Committee’s Chief Executive Scott Blackmun urged all USA Gymnastics board members to resign by Wednesday under threat of decertifying the sports governing body altogether if they failed to comply. According to its tweeted statement, USA Gymnastics is “in the process of moving forward and forming an interim Board of Directors during the month of February.” There will be more updates on this search for interim members in the coming days.